Save money with our Packs! All you need to reach your goals. Specially designed by HSNstore in order to optimize your performance at the best price in the market. Save money with our packs - Perfect supplement combination at the best price. Whey Protein, oat flour, micronized creatine, and beta alanine. If you want to increase your muscle mass and performance, this pack has a series of food supplements which have been specially combined to work in synergy towards this objective. Save money with our packs. The aim of this pack is to gain muscle mass and support the physical performance. Save money with our packs. Pack of supplements designed to produce a quick increase of muscle mass with the help of a correct exercise routine and diet. This combination of nutrients will help you achieve your goals. Save money with our packs. SAVE MONEY - Super combination of supplements to trigger the change you were looking for. Buy at the best price with our packs. This combination of ingredients will give you energy during long activities, apart from avoiding muscle fiber catabolism, which will improve your performance as well as delaying fatigue. Pack of sport supplements combined to improve the resistance during long workouts. Long-term energy support, fights against muscle fatigue. Supplements combination that will help you to perform in prolonged sports such as a triathlon, long-distance races, cycling... All its ingredients will act synergistically to give you an extra energy supply, which will improve performance and reduce fatigue. Long-lasting energy support, improves the performance and delays physical fatigue. 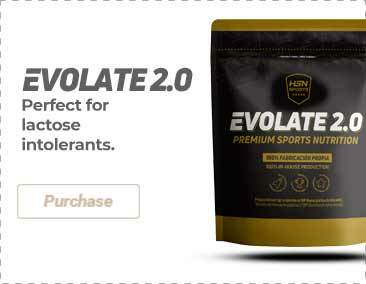 Perfect combination of nutrients to make the most of your workouts or competition in endurance sports such as cycling, running, or triathlon. Pack of sport supplements combined to improve the endurance for a long period of time. The supplements you need specially made for runners. Save money with this pack and get the best products to enhance your performance in a race. SAVE MONEY - All you need to enhance your sport performance. Pre, intra and post-workout supplements for endurance sports. Special CrossFit pack!! Pre-workout Carbs Protein = All you need for a perfect competition!! SAVE MONEY - Whey protein isolate + Thermogenic Pack. Combination of supplements with ingredients that work together to help you achieve a defined physique. Save money with our packs. Within the wide catalogue of nutritional supplements that can be acquired at HSNstore.com most of them can be combined with others whose objective is similar and produce a synergistic effect, that is, that one enhances the properties and benefits of the other and vice versa. This way, it is the final customer who enjoys this amplified effect. Which are the Sports Nutrition Packs? The name of each pack describes the real purpose of each composition of products that have been specially selected to contribute in solving and helping sportspeople, athletes or anyone with any type of disorder or that seeks to start incorporating recommended habits to raise their quality of life and state of health.